Crowdfunding at Maryville. Support in Numbers. Maryville University of St. Louis, is an outstanding national university offering a comprehensive and innovative education focused on student learning, outcomes and successes. Every graduate can celebrate their success and their personal Maryville experience with a gift toward the School or College, program, or club of choice. 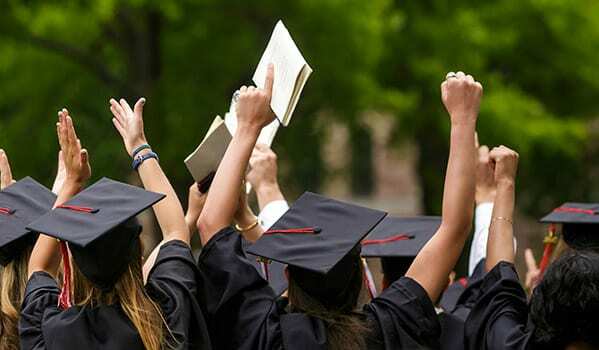 All gifts from students who are graduating in December 2018, May 2019, or August 2019 count towards our goal. Help make an impact and leave your personal legacy! The Saints Wrestling program needs and values your support. 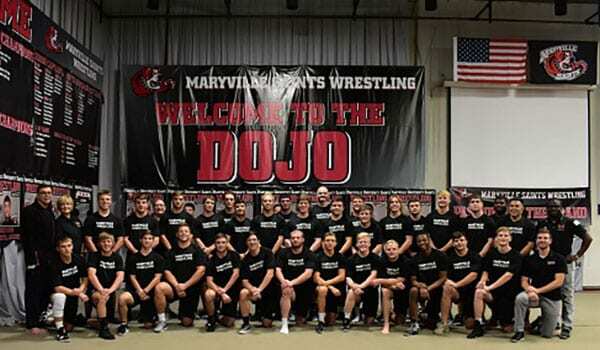 Your contribution to the program will allow us to provide more opportunities for our wrestlers and coaches, to supplement the budget for travel expenses, uniforms and scholarships. This event took place during the basketball doubleheader on Thursday, Feb. 21 to benefit Kids Rock Cancer—Maryville’s innovative music therapy program for kids and teens who have been affected by a cancer diagnosis or blood disorder. Kyra Krakos, PhD, an associate professor of biology at Maryville helped raise over $11,000 for Kids Rock Cancer. As part of the campaign, she had Maryville’s President Mark Lombardi, PhD, shave her head during Moonlight Madness on Oct. 21. 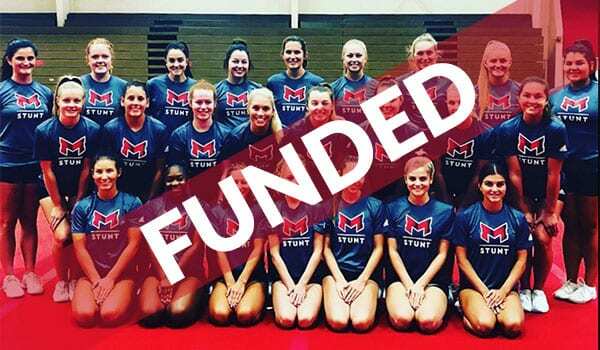 Your donation substantially helps the STUNT program with development and equipment needs, practice facility rental and participation in tournaments. The STUNT team begins competition during the 2018 – 19 season. Crowdfunding at Maryville University – what’s that? Crowdfunding at Maryville is a platform to help Maryville community members raise money for the causes and projects that matter to them. Projects that advance innovation, teaching and learning at the University — including those focused on student groups, student experience, athletics or faculty-specific initiatives — are the highest priority. Who is eligible to use Maryville University’s crowdfunding platform? Crowdfunding at Maryville is open to all faculty, staff and students at Maryville University who are raising money for University-based and affiliated initiatives and projects. Crowdfunding at Maryville cannot be used to fund independent business or charity ventures regardless of whether or not the people leading those ventures are members of the Maryville community. 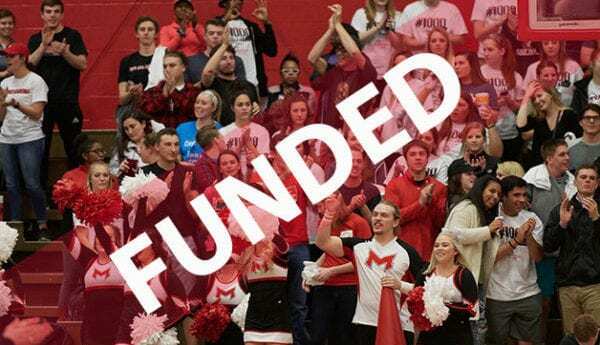 All members pursuing a crowdfunding project must follow the set procedures and processes outlined by the Office of Alumni Engagement and must use the University approved and provided platform: crowdfunding.maryville.edu. Can I use Maryville University’s name, branding, and logo? 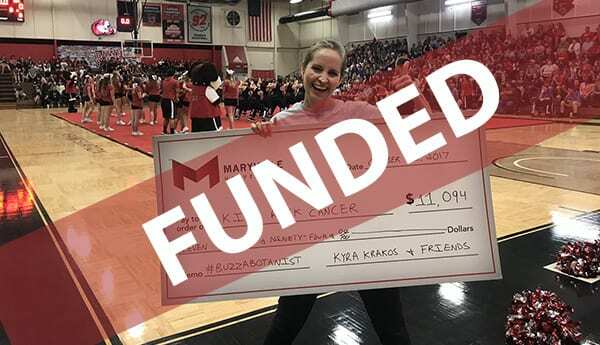 Maryville University’s name, branding, and/or logo may not be used in a crowdfunding project without prior approval by the Office of Alumni Engagement, vice president for Institutional Advancement, and the Integrated Marketing and Communications staff. A University staff member assigned to your project will obtain these approvals. How much time is required when using Crowdfunding at Maryville? Typically, each crowdfunding project will be live for about a month. It is recommended that most groups begin planning their crowdfunding project six weeks before their preferred start dates. The initial setups of the project will take about 10 to 12 hours total and the fundraising stages will require about one to two hours per week for captains.